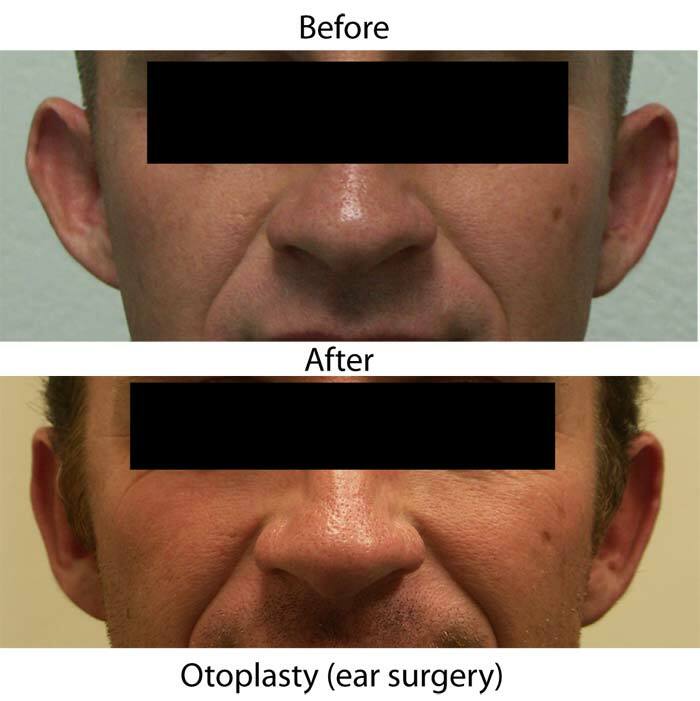 Otoplasty – ear pinning or ear tuck surgery – is done to improve the proportion, shape or position of the ears. Often people choose to have this surgery done because their ears stick out and it makes them feel self-conscious and/or they have been teased relentlessly about their big, “Dumbo” ears. Parents can elect to have this surgery done on children, as this particular cosmetic surgery can be done when the child is as young as 6 years. By that age, a child’s ears are 90% of the size that they will be as adults, which is why the procedure is okay for young children. Ear pinning surgery in Santa Barbara involves re-shaping and/or re-positioning the ears so that they have a more normal relationship between the side of the ear and the head. Recovery time is one to two weeks for children and adults. Patients who have had this surgery are pleased with the results and often no longer feel self-conscious about their ears. If you are interested in ear pinning surgery in Santa Barbara, call our Cosmetic Surgery Center practice at (805) 563-0000. Many of my Santa Barbara cosmetic surgery clients who are in their “golden years” have the same goal for the outcome of their surgery. They want to “look good”, which does not necessarily mean that they want to look like they are 25 again. They simply want to look naturally refreshed and well-rested, which is a very realistic goal. If you feel like your face is “hanging” than a Facelift in Santa Barbara may be a good choice for you. The surgery targets skin laxity in the cheek and neck by repositioning, refining, and supporting deep tissue in the mid facial and jowl area. The skin is also tightened. Sagging skin or fat bulges under the eye area may make you look permanently tired or unhappy. Eyelid surgery is available for both the upper and lower lids, depending upon where your “trouble” areas are. People are always amazed at how this surgery “re-opens” their eye area and refreshes their look. For some people, the relaxation of the forehead tissue can cause a “heaviness” in the upper eyelid. Forehead lift surgery repositions the forehead and brow upward with a result that makes the person look more approachable and happy. The frown muscles are usually partially removed so the ability to frown is still there but the weakness will help to minimize frown lines in the future. If the neck contour is sagging or has accumulated fat, the neck area can look “old”. Neck Lift surgery in Santa Barbara will re-contour the neck to what it once was. 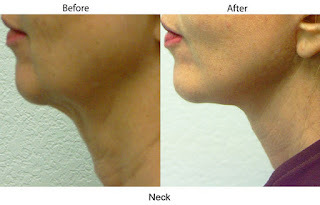 Many patients have felt that their “new” neck actually makes their face look thinner, as if they have lost ten pounds. I am always interested in helping people look their best, whether they are young or in their golden years. For cosmetic surgery with a natural result, contact my Santa Barbara cosmetic surgery office at 805-563-0000 to schedule a consultation. There has been a lot of buzz this past week about Renee Zellweger’s “appearance”. After years of not being regularly seen in the public eye, she showed up at an awards event last week and the tabloids have been having a field day speculating about what she had “done”. Plastic surgeons from all over the world are weighing in with their opinions: eye lift, forehead lift, Botox, fillers, and so on. At Cosmetic Surgery Center in Santa Barbara we don’t make it our business to speculate on what other people may or may not have had “done” but we will share with you why people may choose cosmetic surgery or aesthetic medical treatments such as Botox. Most people who come to see us at Cosmetic Surgery Center are interested in rejuvenating their appearance. Age, genetics, and environmental factors (i.e. air pollution and sun exposure) all play a big role in how a person’s face may change as they enter into their “golden” years – or even before that. The onset of wrinkles, fine lines, and skin laxity can suddenly make a person appear much older than they really are (or feel). Foreheads may droop, causing the eyes to look heavily lidded and smaller, the chin can lose definition, neck skin can hang and become “wobbly” and high cheekbones may drop. All or some of this may cause a person to look unhappy or tired when that may be furthest from the truth. There are cosmetic surgery options for any and all of the above that can help to restore what was once there. An Eyelid Lift Surgery can re-open the eyes or a Forehead Lift can address the heavy lids and smooth wrinkles. 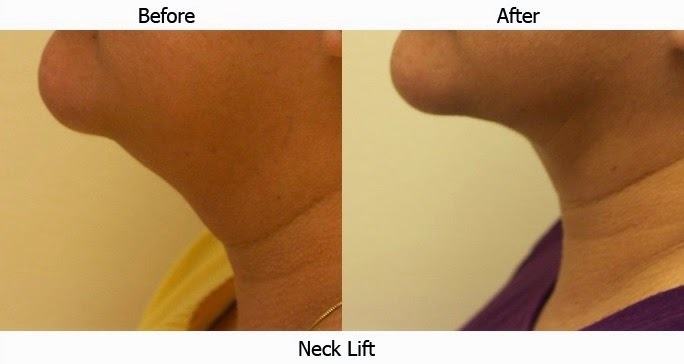 A Neck Lift can redefine the chin and remove excess skin in the neck area. 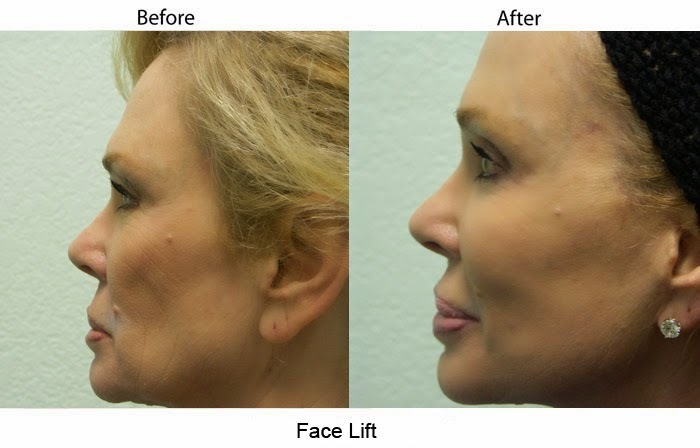 A Face Lift can reposition and create extra support for the midfacial area and the jowls. Nonsurgical options include Botox or Dysport to relax forehead wrinkles and/or dermal fillers (i.e. Restylane, Juvederm, Radiesse) to replenish volume in areas of the face (lips, cheekbones) or plump up deep folds or wrinkles. Dr Perkins performs cosmetic surgery so that his patients look naturally refreshed, rested, and restored, not “done”. Patients of Cosmetic Surgery Center tell us that they love their “new” look and often feel it gives them a refreshed sense of self that is reflected in their outlook and demeanor. Renee Zellweger looked happy and confident last week on the red carpet. And she has taken all of this discussion about her appearance in the same cool and calm stride. Her response is simply that she feels this conversation is “silly” and, as she told People magazine, she is glad that “folks think I look different! I’m living a different, happy, more fulfilling life, and I’m thrilled that perhaps it shows”. Good for her and whatever she may have “done” to get to this healthy time of her life … that’s only her business and we’re fine with that. What’s the key to keeping up a youthful appearance? Santa Barbara cosmetic surgeon Dr. Terry Perkins suggests proper skin care with medical grade skin care products, using sunscreen daily, regular aesthetic medical treatments (such as facials, chemical peels, laser treatments) and wrinkle treatments (Botox, dermal fillers) along with routinely exercising and eating well. If you’re already doing all of the above, wonderful! Are you taking the same care of your hands too? Hands can be a dead give away to what your “real” age is! In fact, hands tend to age faster than your face because the skin is thinner and they are usually subjected to more sun exposure over the years. So when the collagen and elastin start to break down on the back of your hands – due to a combination of aging and environmental exposure – the aging process happens rapidly. Aged hands lack plumpness and instead appear sunken with tendons and veins showing through the thin skin. Often “liver” spots (brown spots) appear too. If this has already happened to you, don’t fret, there are ways to reverse this aging. Dr. Perkins would treat pigment changes with the Q-switched 532 laser. The Q-switched laser works quickly and effectively to address brown spots. Lost volume in the hands can be treated with fat grafting or through the use of a dermal filler like Radiesse (this will last for a year or more). Fat grafting is preferred over fillers as the results are more long-lasting (in terms of many years) and there is usually plenty of grafting material (the fat) to work with. Visit the Cosmetic Surgery Santa Barbara website for before-and-after pictures of hand rejuvenation. Start your regimen now, even if your hands show no sign of aging! Once the signs of aging starts, it will happen fast, and you may be too late. Protect them from the sun. Apply a broad spectrum sunscreen daily and don’t forget to reapply. Hand washing and hand sanitizers will make the sunscreen less effective. Choose a sunscreen that provides a physical block – look for ingredients such as titanium dioxide and zinc oxide. Wear gloves when driving, especially if going long distances and/or in intense sun. Keep your mitts moisturized! Use a thick hand cream at night to replace lost moisture. Minimize contact with water by using gloves when washing dishes and replace some hand washing with hand sanitizer. For extra dry skin, treat yourself to a paraffin wax treatment (often accompanied with a manicure or with an Evolutions’ Signature Facial!). Ask for advice. If you see the beginning of thinning skin or hyper pigmentation, ask a professional about special creams such as tretinoin (also known as Retin-A) that may help boost collagen production and address brown spots. There are also physician grade products for the face that could be used on the hands as well. Taking charge of your hand treatment now will help their appearance for many years to come! If you are interested in hand rejuvenation using fat grafting or dermal fillers, call Cosmetic Surgery Center in Santa Barbara (805-563-0000) to schedule an appointment with Dr. Perkins. If you are interested in learning more about physician grade skin care products, stop by Evolutions Medical & Day Spa in Santa Barbara (805-687-0212).